It's time for the annual "Best Small Town in America" national competition... and Odyssey's in the running! This special occasion brings together a hometown reunion of long-lost friends, like the Barclay family, Lucy Cunningham-Schultz and Edwin Blackgaard. But who knows how far everyone will go to take the title? Your family won't want to miss these brand-new stories with plenty of good old-fashioned fun-Odyssey style! The residents of Odyssey search for a 100-year-old time capsule. Meanwhile, Connie sets out to answer the question: "Is Odyssey stuck in the past?" 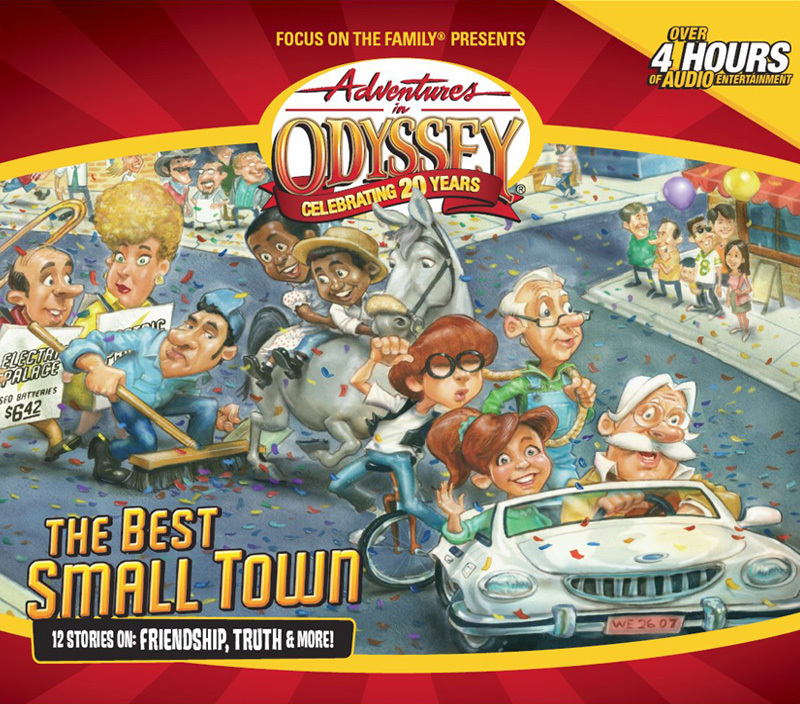 An inspector for the "Best Small Town" contest is coming to Odyssey - and Bart, Edwin and Connie each have their own ideas about how to impress him. But have they got the wrong man AND the wrong intentions? The Washington family travels back in time - to their own back yard - as they reenact the life of a frontier family in the 1800's. Government Agent Jason Whittaker's life is in danger when an old enemy tracks him to Odyssey. 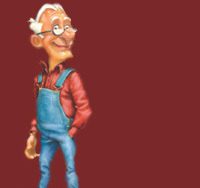 Grady gets involved simply by being in the wrong place at the wrong time! Grady's dad and Whit join forces in an elaborate plan to foil the escaped criminal who kidnapped Grady and Jason. Can they stop him before he gets his revenge? Edwin is commissioned to write a play about Odyssey's founding fathers, but his version of the town's early history casts Mandy in a role that infuriates her AND the historical society. Can anyone save Whit's End? Led by Cryin' Bryan Dern, a group of "separation of church and state" advocates threaten to permanently shut down Whit's End when they discover that it sits on government land. Things get complicated when childhood friends Jimmy, Lucy, Curt and Jack return to Odyssey for a visit. Could things get any MORE complicated? In part two of "The Triangled Web," childhood friends Jimmy, Curt and Jack each decide to pursue Lucy. Does anyone win her affections? And how does this affect their friendships? 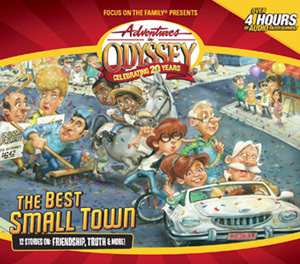 It's a race to the finish in the "Best Small Town" competition and the people of Odyssey have to choose between winning the contest and losing something important. Kelly sneaks into the Imagination Station where she lands in Jerusalem. There she's befriended by a blind boy who is searching for Jesus. Will he be able to find this miracle worker? After sneaking into the Imagination Station and landing in Jerusalem, Kelly witnesses the events of Passover week, including the crucifixion. In the end she meets the resurrected Jesus!